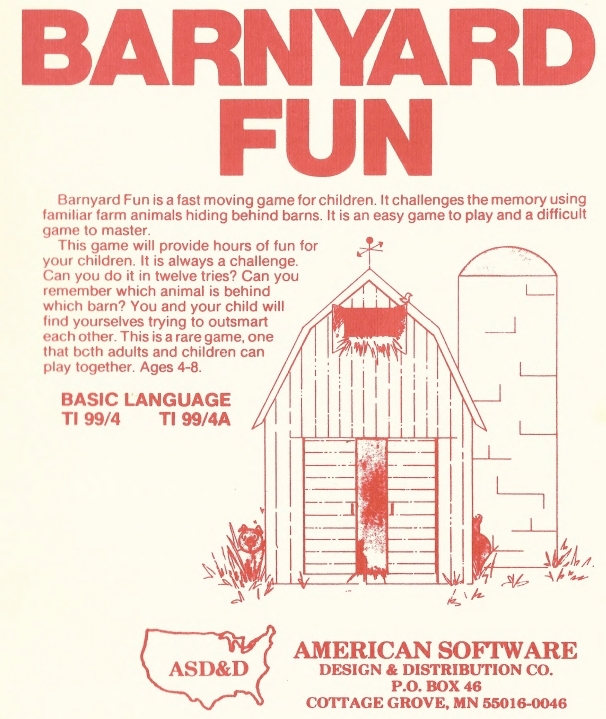 Barnyard Fun is a fast moving game for children. It challenges the memory using familiar farm animals hiding behind barns. It is an easy game to play and a difficult game to master.